Craves, Caves, & Graves: Special Edition! I have a surprise for you today, ladies and gents! As you know, I rarely (never) allow guest blogs on Craves, Caves & Graves, but I'm making an exception today. When am I going to see the port of Umm Qasr? Probably never. So today I'm handing over the reins to Sgt Francis Horton. Show some love so we can keep learning about Iraq this summer! If ever you find yourself on an airplane headed to the Basra International Airport in southern Iraq, hop in a cab and go see the port city of Umm Qasr on the Khawr az-Zubayr canal. It is the largest working port in Iraq and oversees the export of millions of gallons of oil each day, as well as imports of everything from clothes and food to toys and other trinkets. During the first gulf war, the port was a highly contested area as the canal it sits on forms the lower border between Iraq and Kuwait. The port was bombed during the war and reopened afterward to allow goods to flow again. 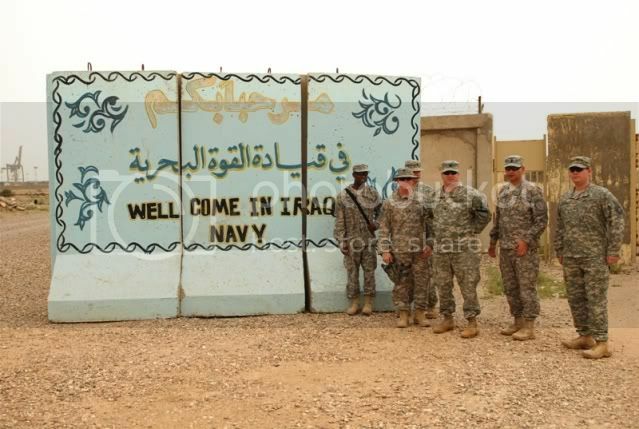 This is a move of both necessity and punishment to the people of Basra for standing beside the American forces when they rolled through in the early 90s. Fast forward to our current predicament. British Marines, with the help of American Marine forces and Polish GROM troops (Polish special forces), came in and flattened the port. 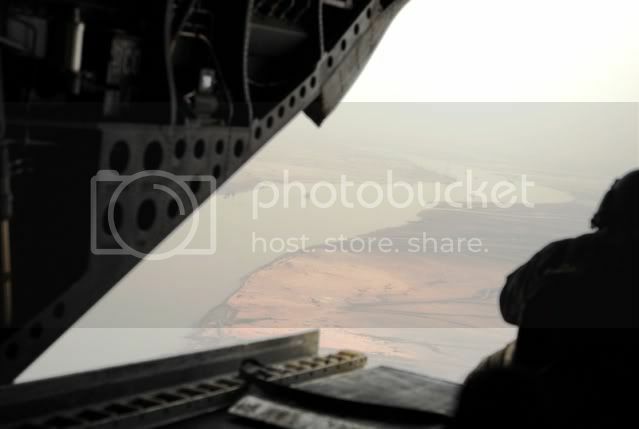 In a fierce battle that raged several days, Iraqi insurgents were removed from the port and British and American Naval forces cleared the Persian Gulf and the canal of mines and other dangerous traps with the help of trained seals and dolphins. Now the port is open for business and hums with a new life. British commandos here are training Iraqi Navy to patrol their waters and guard the ships and oil drilling platforms in the Persian Gulf. 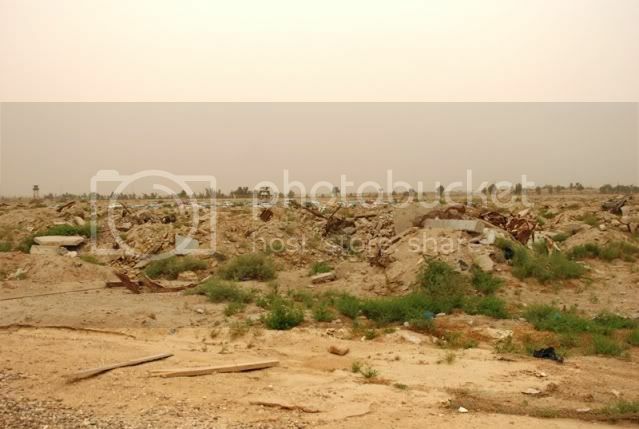 It is one of the few places in Iraq that British forces still occupy, and even in that respect they are merely taking a back seat and allowing the Iraqi forces to stand on their own. We opted to take a Chinook helicopter rather than a taxi. They have a bit more room than a car. The British, being fantastically polite as always. We didn’t miss much though. English is a third language around here. We will forgive them the confusion since this wasn’t in a text message or posted on an internet forum. Umm Qasr housed many prisoners during the war until the eventual shut down in 2009. All of the inmates were transferred to other detention facilities in Iraq. 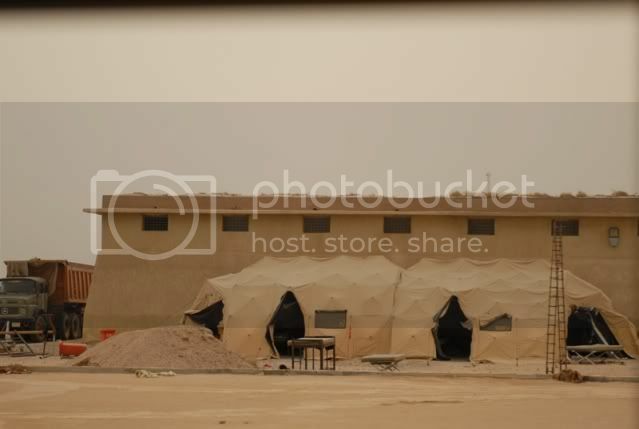 This prison is still used as an Iraqi Naval brig or if someone just needs to be cooled off for a few days. 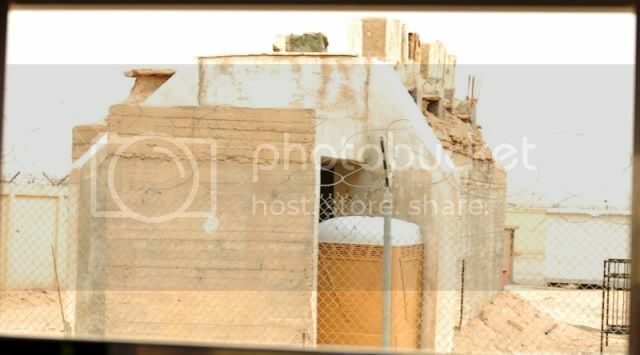 Iraqi military and civilians are both placed in this jail from time to time. 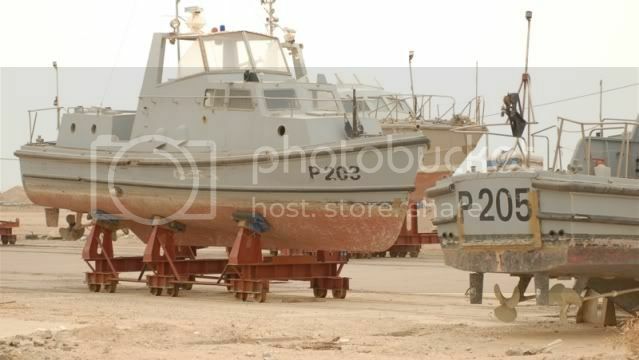 Patrol Boats bought from the Chinese before the second gulf war. Intrepid Iraqi mechanics have been working to restore these old ships for eventual use. A Navy can never have too many people patrolling the seas. One of the ships used today by the Iraqi Navy. 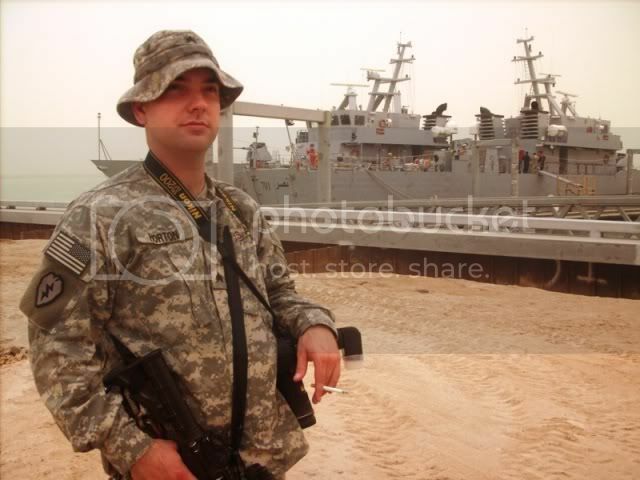 While they are not outfitted with explosive ordinance (missiles, torpedoes, ect), there are plenty of heavy guns on the decks with plenty of people to man them. These ships are taken out to patrol the waters of the canals and the Persian Gulf to protect ships importing and exporting, as well as guarding Iraqi and coalition owned oil rigs. Everyone on the ships knows as much as they can. 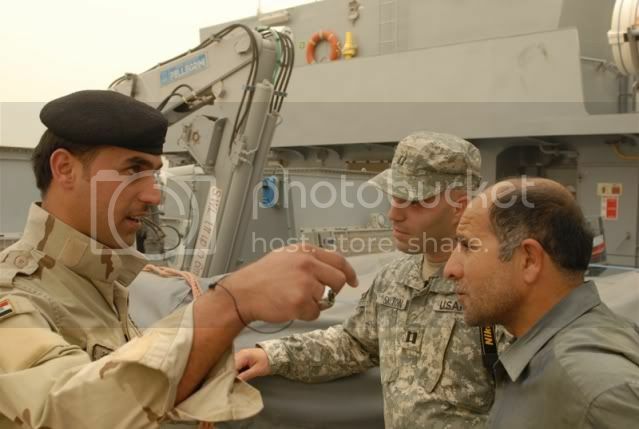 This Iraqi Navy seaman is an assigned gunner, but spoke well about the power and maneuverability of the ships. Smaller skiffs like these are used for interception as well as close shore patrols. Two to four Iraqis can cover a wide area of shore in these ships. It wouldn’t be a trip if you didn’t get a picture of yourself with the local attractions! 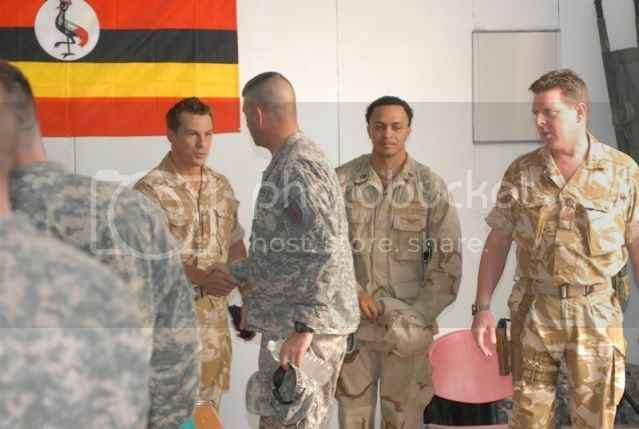 Sgt Francis Horton is an Army Journalist currently serving in Basra, Iraq. When not winning wars, he can be found reading, writing, creating video blogs, smoking too many cigarettes or melting his brain with violent video games. If he is hungry, he can be fed Cheez-Its. He likes to run sometimes, but likes it even more when he stops. You can read some of his stories and look at his photos here. Just click on his name next to news or images. If you want to see his sweet video blog, here is his YouTube channel. You can be his friend on Facebook too. I'm sure he won't mind. Fantastic - Thank you Francis for your service and your post. I have done all of the things you mentioned early in your post - I have flown into Basra, and worked in and around Basra and Umm Qasr when back in 2003 and 2004. At the time, it was not pumping much. Our first task was to "electrify" the southern oil fields. Due to Saddam's hatred of the Shia, he had pretty much cut off EVERYTHING in the Shia south of Iraq. Drained the life giving marshes and destroyed the oil fields. We worked to first provide electricity, then oil pumping capacity, then worked on natural gas separation plants. Oil in the south is not under pressure and does not "flow" or gush as you see in the movies - you actually have to pump salt water down on one side of these massive fields and by hydraulic pressure push the oil out the other side. When it comes out, it is mixed with natural gas unlike many places on earth, so you have to either flare it off or separate it at an NGL plant. Since Iraqis used natural gas as a main component for heating and cooking, that was another primary concern - getting the natural gas flowing back to the Iraqi people. Last was to export! All of the oil pipelines had been compromised by people siphoning off oil and by insurgents blowing up long, unguarded stretches. It has been a helluva struggle, but today, Iraq is back to exporting and giving them the ability to fund their country's resurgence. Again Francis, thanks for your service and your story! What a great entry, and a great comment from Uncle Bill. Glad you pointedly made me come over, Beth!